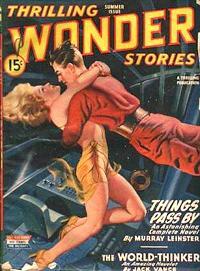 Jack Vance (August 28, 1916-- ) saw his first published SF story, "The World-Thinker," appear in the Summer 1945 issue of Thrilling Wonder Stories (cover top right). He is a legend in the fields of science fiction and fantasy, and deservedly so. 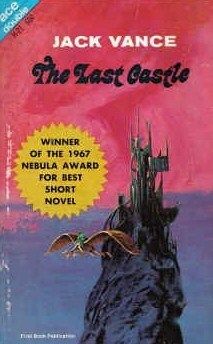 In 1963 his novella "The Dragon Masters" (Galaxy, August 1962) won the Hugo Award for Best Short Fiction, and was awarded both the Hugo and Nebula Awards for his novelette "The Last Castle" (Galaxy, April 1966). 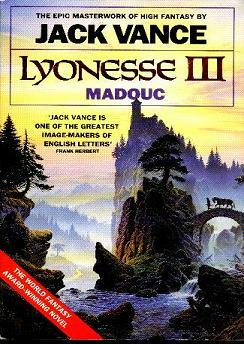 In 1984 he was honored with a World Fantasy Award for Lifetime Achievement, and in 1990 won a World Fantasy Award for Best Novel with the third in the Lyonesse trilogy, Lyonesse: Madouc. 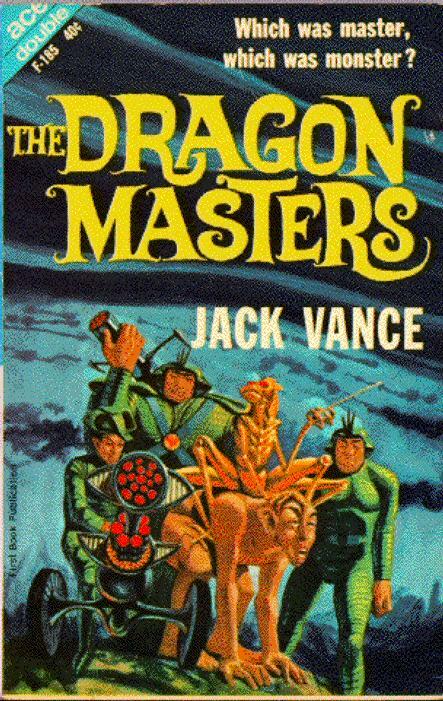 1997 saw Vance honored yet again with the Science Fiction and Fantasy Writers of America's Grand Master Award for Lifetime Achievement. Also a writer of mysteries, in 1961 Vance won the prestigious Edgar Award (i.e. equivalent to SFWA's Nebula Award), for Best First Mystery Novel for The Man in the Cage. 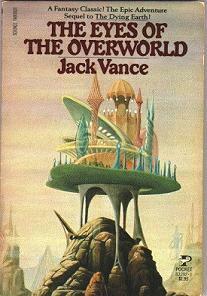 Although his accomplishments are legion, Vance is perhaps best known for his "Dying Earth" stories and novels. Fantasies set in the far future when our sun is red and dying and magic has replaced science, the books and stories are classics and have influenced generations of fantasy authors. 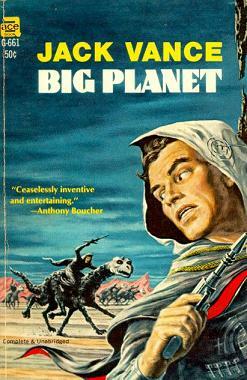 They include: The Dying Earth (collection of linked stories, 1950), The Eyes of the Overworld (novel, 1966), Cugel's Saga (novel, 1983), and Rhialto the Marvelous (linked stories, 1984). 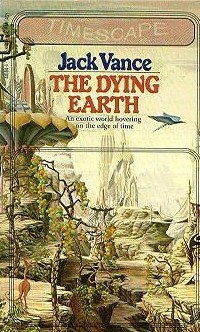 An omnibus edition, Tales of the Dying Earth, contains the complete series. 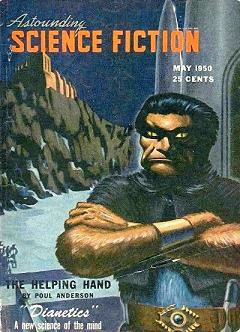 "The Potters of Firsk" appeared in the May 1950 issue of Astounding (first cover at left, bottom row). In the future, Mankind has spread into interstellar space and has colonized, or discovered, many worlds. Sometimes we have encountered advanced civilizations, sometimes less advanced. On the world of Firsk beautiful pottery has become the inhabitants' claim to fame. The pottery is deemed remarkable for its exquisite glazes, which are made from one's ancestors. But what happens when interstellar demand exceeds the supply? What follows is an intriguing, colorful (always a Vance trademark) mystery, as the Earth Planetary Affairs representative must unravel the mystery at the heart of it. "The Potters of Firsk" aired on Dimension X (1950-1951, the forerunner to X Minus One) on July 28, 1950. It's a most enjoyable dramatization with an ending that is guaranteed to satisfy. 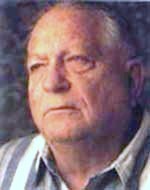 We are pleased to run this episode in celebration of Jack Vance's 94th birthday, August 28, 2010.